Articles about specific classical music titles, types of classical music, and other specific piece-related content. Mozart wrote 41 symphonies (according to original numbering) and some are arguably better than others. Number 41, nicknamed the “Jupiter Symphony”, is rated by many critics as among the greatest in classical music. Number 40 is another of his most famous works. But there’s something about Symphony No. 25 that is truly gripping, that helps it stand out from the rest, and that made it the perfect opening music for the film Amadeus. Perhaps it’s the minor key or the dramatic style. Regardless of the reason, there’s definitely more to this work than its unassuming name. Here are 6 interesting facts about Mozart’s Symphony No. 25. It has been called the “little G minor symphony”. Symphony No. 25 is one of only two symphonies Mozart composed in G minor. The other was Symphony No. 40 (written 15 years later). While it might not sound like anything of note today, composing in G minor was unusual at the time. It is considered the key thorugh which Mozart best expressed sadness. Thus, the symphony is often called his first “tragic” symphony. Though Mozart used other minor keys in his symphonies, G minor is the only minor key he used as a main key for his numbered symphonies. It was written when Mozart was 17 years old. Although the story is unsubstantiated, it was supposedly completed just 2 days after he completed his Symphony No. 24. Many critics regard this as one the moments when Mozart transformed from entertainer to artist – from wunderkind to great composer. It was written in a Sturm und Drang style. Sturm und Drang (Storm and Stress) is a style characterized by emotional extremes and sudden changes in tempo and dynamics. The opening movement begins with a particularly dramatic repeated syncopated pattern in the violins and violas. This rhythm returns again in the final movement. Haydn’s Symphony No. 39 (also in G minor) is another example of the Sturm und Drang style and may have served as an inspiration for Mozart’s Symphony No. 25. The occasion it was written for is unknown. Lost to history is what occasion the symphony was written for. Nothing in his life at the time justifies the minor keys. Perhaps after a recent tour of Europe, he longed to explore the previously mentioned Sturm und Drang style popularized by Haydn which began as a German literary movement to break free from the ultra-rational and ultra-objective ideals of the Enlightenment. Again, there’s nothing that directly points to that intent. It used to be relatively unknown. The “little” in its nickname was in deference to what was considered the more sublime of his minor symphonies (no. 40). 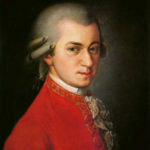 While history suggests that the work may have been popular in Mozart’s time (it was performed several times and Mozart even rescored the work for different instruments), by the 19th century, Symphony No. 25 was little known and rarely performed. 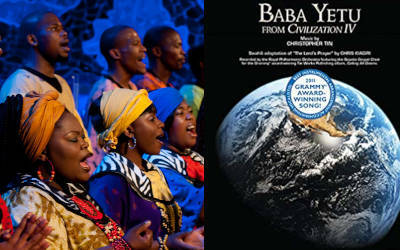 It wasn’t performed in the United States until 1899 and after that, it wasn’t performed again until 1937. What changed all that? Amadeus. It may have inspired Beethoven’s 5th Symphony. Ludwig van Beethoven knew the symphony well, copying 29 bars from the score in one of his sketchbooks. It is thought that the opening theme of the Symphony No. 25’s final movement may have inspired the third movement of Beethoven’s 5th Symphony. The Parker Symphony Orchestra will perform the first movement from Mozart’s Symphony No. 25 as part of Blockbusters at the PACE Center in Parker, Colorado on May 3 at 7:30 PM. Halloween is here! And if you’re looking for spooky, creepy, or monstrous music for your playlist, you’re in luck. 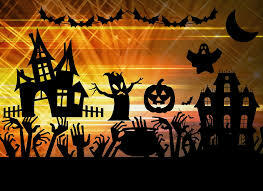 Check out our 12 favorite Halloween classical music pieces below. With a title that includes the word “macabre”, you can tell it’s a great piece for Halloween. This is by far the most famous work associated with the holiday, and with good reason. It is a tone poem inspired by a French legend that says “Death” appears at midnight on Halloween to call forth the dead from their graves to dance for him. He plays the fiddle while skeletons dance until dawn. The Water Goblin is a symphonic poem that tells a horrific story of a mischievous goblin who traps drowning souls in upturned teacups. It begins by depicting the water goblin sitting by a lake sewing a green coat and red boots for his wedding. Then a mother is telling her daughter a dream she had about her daughter in white robes swirling in foaming water. Fearing it was a foreshadow of danger, she warns her daughter not to go to the lake. Of course, the daughter is drawn to the lake despite the warnings. The bridge she sits on collapses and, as she falls into the water, the goblin abducts her. He takes her to his underwater castle and marries her. They have a child together and she begs the goblin to allow her to visit her mother. He agrees on 3 conditions: that she not embrace anyone, that she leaves the baby behind, and that she returns by the bells of the evening vespers. She visits her mother who forbids her to return when the bells ring. The water goblin becomes enraged and goes to the mother’s home and bangs on the door. When he is refused, he kills the child. Another famous piece commonly associated with Halloween, Night on Bald Mountain paints a musical picture of a witch’s sabbath occurring on St. John’s Eve. Interestingly, the original piece composed by Mussorgsky is not the version you typically hear. That was only published in 1968 and is performed very rarely. The piece we have come to know (and hear in places like Walt Disney’s Fantasia is an arrangement by Rimsky-Korsakov. Ryan Smith may not be a name you know, but he is composer from Parker, Colorado who wrote a very Halloween-appropriate piece that the Parker Symphony played for its world premiere. A Chaparral High School graduate in 2008, he has written, recorded, and produced under the name M.I.X. What Halloween music list would be complete without the famous Funeral March from Chopin. Although many may not know it, it is actually the 3rd movement in his Piano Sonata No. 2 and quite lovely once you get past the main motif. It has been arranged for a variety of instruments and even full orchestra and has been played at numerous funerals including Chopin’s own burial in October 1849 at Père Lachaise Cemetery in Paris. “Totentanz” translates to “Dance of the Dead” in English. 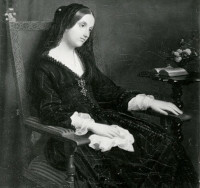 It joins several other works by Liszt in showing his fascination with death. In fact, it is said he frequented hospitals and asylums and even went down into prison dungeons to see those condemned to die. Probably the most famous piece of organ music written, the Toccata and Fugue in D minor was not intended to be creepy, but thanks to its use in numerous films, it has become a cliché to illustrate horror and villainy. Another symphonic poem that depicts a story, this piece was inspired by a reproduction of a painting of the same name that Rachmaninoff saw in Paris. The opening of the piece is either suggestive of oars as they meet the waters on the way to the Isle of the Dead or the waves themselves. Ok. One listen to this piece and you’ll instantly recognize it as the theme for Alfred Hitchcock Presents. However, it has also a great piece for Halloween because of its subject matter (a funeral) and it’s oddly catchy and creepy melody. The storyline that the piece follows is that a marionette has died in a duel, the funeral procession commences, and then, during the central section, mourners take refreshments before returning to the march. Ah, Pachelbel’s Canon in D. It’s a staple at weddings. It’s almost always found on “relaxing classical music” playlists. It can even be heard during the holidays both in its original form and as incorporated into Trans-Siberian Orchestra’s Christmas Canon. It is perhaps one of the most famous baroque pieces that almost anyone – classical music fan or not – can hum without help. And yet, it is also one of the most hated by musicians themselves, particularly cellists. But why? Pachelbel’s Canon, as it is commonly known, is one part of his Canon and Gigue for 3 violins and basso continuo. In simple terms, a canon is similar to a round – like Row, Row, Row Your Boat. Typically, one instrument or voice starts the melody and other parts then join in. Unlike a round, however, the parts in a canon don’t have to be exactly identical. Pachelbel uses the techniques of the canon with 3 voices engaged in the “round”. He adds a basso continuo (bass line) which is independent – making the piece more of a chaconne than a canon. This bass line is the cello part. The same 8 notes that repeat throughout the entire piece with no variation. This is why cellists cannot stand playing this piece. 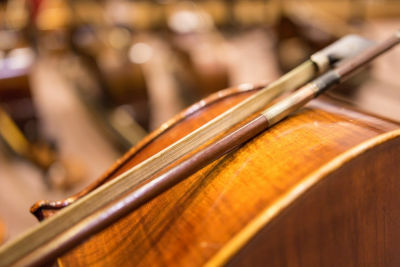 As everyone else in the room enjoys the lovely sounds of the canon, the variations of the melody that travel through the violins and viola, the cello is stuck playing the same two-bar line – one that is so simple it can be played by beginning students. Musically speaking, this is definitely not challenging or fun for cellists. …or is it? The Piano Guys have a wonderful rendition of Pachelbel’s Canon that plays on this common cellist complaint and takes the piece to new heights. Incidentally, I describe the bass line as the cello part, but it can be played by other instruments (as is the case in wind ensembles). It’s not just the bass line that is played over and over again. The entire piece itself seems to be overplayed. 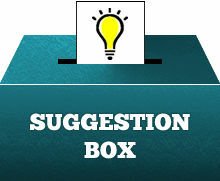 Weddings, parties, relaxing CDs, holidays, etc. It’s everywhere. In addition to its original form, the piece’s chord progression can be heard in numerous other places including in popular music. Green Day’s Basket Case, Oasis’ Don’t Look Back In Anger, and Vitamin C’s Graduation are all based on the same chords. Some songs even incorporate samples of the original, as is the case in Coolio’s C U When You Get There. One could argue that that’s evidence of the simple genius of the piece. Comedian Rob Paravonian would disagree with that. 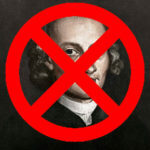 Perhaps one of the most common reasons musicians give for why they dislike (or even hate) Pachelbel’s Canon is because there is plenty of “better” classical music out there to choose from. One Google search for “relaxing classical music” or “classical wedding music” will return numerous options that are NOT the famous canon. Debussy’s Clair de Lune, Bach’s Jesu, Joy of Man’s Desiring, and Elgar’s Salut d’Amour just to name a few. Musically, Pachelbel’s Canon also doesn’t offer much. For those who were taught to listen closely to minute details in music, the piece falls far short from anything written by Bach, Mozart, and Beethoven. It’s unsophisticated and highly redundant. But its simplicity is effective. The unvarying melody at the root of the composition and the repeating basso continuo line are designed to sustain a mood. Unlike other pieces that use a chord structure that gives the music forward momentum (dynamic harmony or chord progression), Canon in D uses a chord structure that does not vary much (static harmony). So unlike music that creates moments of tension and relaxation to tell a story, the canon’s repeating chords serve to prolong the same calm feeling throughout the entire piece. Because the piece is so well-known, mistakes and intonation issues stick out like a sore thumb. One lazy performer – including the musician falling asleep while playing the bass line – can ruin the entire piece. So while the piece may be the bane of your existence for any of the reasons mentioned above, if you have to play Pachelbel’s Canon, be sure to play it well and in-tune or everyone will notice.